Separation or divorce between spouses can be inevitable which means that custodial rights have to be awarded to a single parent or they can both share. Whichever the case, child support has to be shared equally. In most cases, the noncustodial parent will be the one to pay while the custodial parent receives the child support. 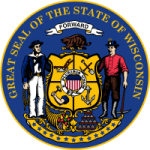 Financial support for your children can be computed using the Wisconsin calculator. Step 2: Enter your gross annual incomes and adjust for any child support received to get the gross income for the year. Step 3: Adjust the total gross income in step 2 by adding it to the undistributed income of the business and wages to household members and then subtract this to other business related expenses to fill up line 10 of section I (A). Step 4: Go to part C to compute for the imputed income from assets and adjust accordingly to fill line 14. Step 5: In part D, carry out the calculations in lines 1 to 5, enter the percentage based on the number of children you have in line 6 and determine the child support obligation, per month, to fill line 7.